Our product range includes a wide range of pellet vertical cooler. 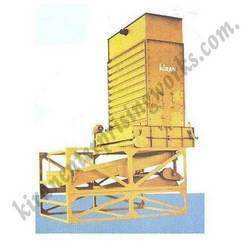 We are the leading manufacturer and supplier of Pellet Vertical Cooler. Provided with high accurate worm wheel drive and oil cooling coil inside, this offered machine offers a hassle free performance.All these products are exclusively designed by the skilled engineers and efficient workers of the company. Looking for Pellet Vertical Cooler ?